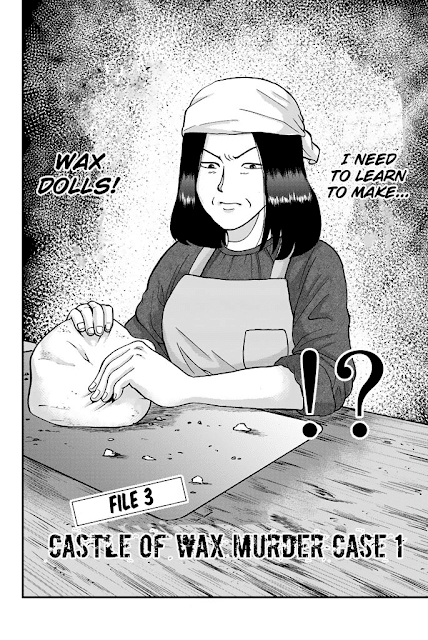 The Detective Novelist Wax Doll Maker, Takigawa Kahoru! The late post of spin-off Hannin-tachi, Castle of Wax Murder Case. This chapter will explain the preparation of Castle of Wax Murder Case. Note : For Indonesian translation, I will upload it later after my job at real life have done. Beware!! This spin-off contains a heavy spoiler from the past cases.